What a glorious day for baseball! A fantastic day for Kevin Millwood on the mound and a great day for Casper Wells and Justin Smoak. Millwood was sharp today, giving up just one run on 3 hits through 7 complete innings and silencing the majority of the Yankees lineup. The Mariners started the scoring in the 4th inning. After getting two quick outs, Jesus Montero drew a walk and that brought Justin Smoak to the plate. Smoak, who has been struggling so far this year has been on somewhat of a roll as of late. He extended that roll today with a two run shot on a one and one slider from pitcher, Andy Pettitte. Smoak's shot was the first hit of the game for the M's and the 4th homerun of the season for Justin. Kevin Millwood struggled a bit in the fifth inning. After surrendering 2 straight singles to Mark Texiera and Nick Swisher, Millwood walked Raul Ibanez. With the pressure mounting, he got Eric Chavez to strikeout but allowed a bases loaded walk to score Texiera. Then, the unbelievable happened. Derek Jeter came up to the plate looking to be the hero of the day, but instead, he grounded the ball to Brendan Ryan who tagged the bag and threw to Smoak at 1st for the double play. Dustin Ackley led off the 6th with a single and made way for Casper Wells. Wells came up big with a drive off the right field foul poll for a two run homer. The Mariners continued with three straight singles to load the bases of Pettitte for Mike Carp. Carp was the player of the game yesterday for the M's with a homer and a double off the top of the wall that was first called a homer and after the umpires reviewed the play it was changed to a double. Today was not Carp's day however, as he took a 1 and 2 pitch and grounded it to Texiera at first. Texiera tagged the bag and threw home to Russell Martin at home who tagged Montero coming to the plate for the double play. In the bottom of the 8th, the Mariners combined three pitchers to give up 2 singles, two walks and a run scored while striking out the side. Each pitcher struck out a batter and the M's held onto a 4 - 2 lead. Both Yankee runs scored on bases loaded walks in the game. Not something that you see everyday. The top of the ninth brought in two more runs for the M's as Alex Liddi led off the inning with a double. After a strikeout of Mike Carp and a fly out by Michael Saunders, Brendan Ryan and Ackley both walked. 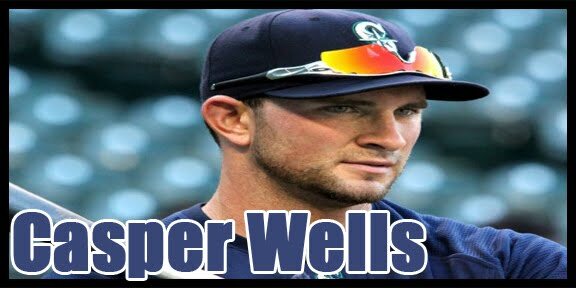 That brought Casper Wells to the plate again. Wells hit a soft shot back to the mound that went off Clay Rapada's glove. After getting to the ball he tried to throw Wells out at 1st from his knees and wound up throwing the ball away. Ryan scored, Ackley followed and the Mariners rode a 6 - 2 lead into the ninth inning. That would prove to be the final as the M's salvaged the last game of the series before heading on to Boston. In other news, Millwood got his 2000th strikeout today! HAPPY MOTHER'S DAY MARINER FANS!!! Have an awesome day, celebrate the win and we'll see you tomorrow!